I am using “Modern” theme on my photography blog (tustel.net), and I like it so much. Anyway, I would like to know in case there is a way to enable the full width images on the blog post just like images in Medium (medium.com) articles blog post images. If it is possible, I believe that the user experience will be much greater. I really appreciate any of your ideas, guys. I can’t really find any example of fullwidth images on Medium looking at the website now. So, if you mean the post featured image to be fullwidth, it actually is as it spreads the full width of content container on single post page. Or you can go ahead and adapt the above code to your needs. I have tried your suggestion. I added those codes on the Customize -> Additional CSS, but unfortunately, it seems that there was nothing changed. The post images were still stay the same, did not appear to be fullwidth like posts on Medium. Should I do it another way, or maybe use a plugin to be able to do so? Please note that you should adapt the CSS to your needs. I only provide tips for theme modifications – please read terms of service. Also, please understand I still don’t exactly know what images you mean. If, for example, you mean the image in post content such as on https://www.tustel.net/street-photography-dengan-go-jek/ then please note that my CSS will work for “Large” image size only. 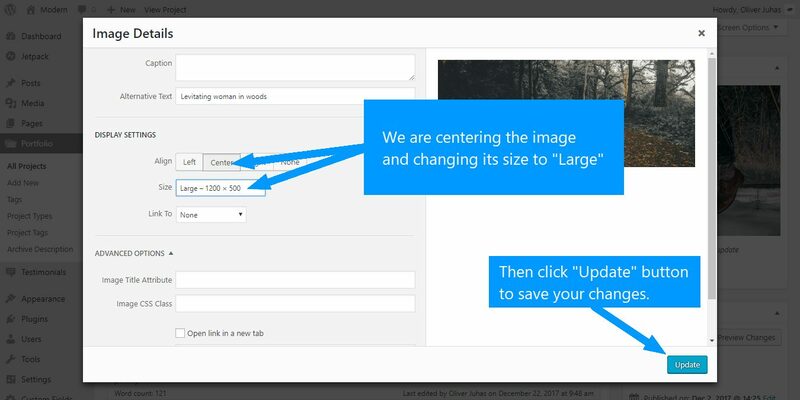 You have inserted the “Medium” image sizes in your post content. These are actually too small to be stretched, or they will simply become blurry as they will forcefully be stretched. I suggest using “Large” image size for such images. Also, your images are not aligned in the center, that’s why the CSS code I’ve provided doesn’t work – I’ve mentioned in my previous reply the code will work only with “center aligned images of large size”. Once you make an image you want to stretch and outdent in your post content a “Large” size and align it to center, it will work. But even with the CSS code I’ve provided the images will not be fullwidth, but only outdented. It is not possible to make the image fullwidth in the theme, at least not currently. Thank you for understanding! 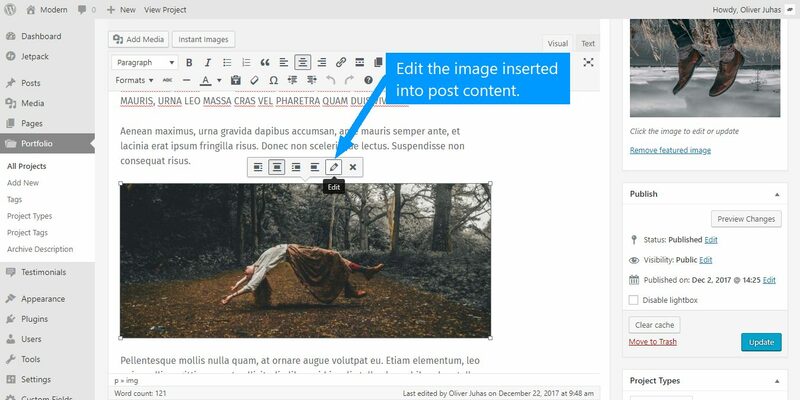 Also please note you won’t see any change in post editor. The image will not be outdented there as the CSS I’ve provided only works on your website front-end. Although this will stretch the image to full width of content container, on smaller screen sizes (narrower than 1360px approximately) the image will get cropped from left and right side. This is the only downside of the above code. I have just applied the new lines of codes, the result is actually better in terms of its full-width appearance. It is indeed cropping the post images, but not too significant. Oh man, I really love the way you responded my questions, and gave solutions in such a short time. Even though I am not a premium member.